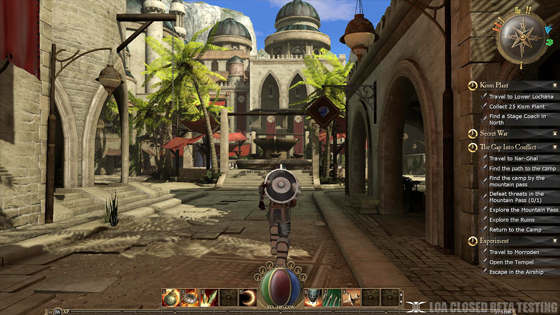 Legends of Aethereus is a 3D Action RPG being made using Unity3D game engine. The game is currently on kickstarter and it has been in development for more than year. LoA is currently raising funds to give the game final push before its release in August. They were looking to support Linux and finally an announcement was made after evaluating Unity 4.0. After looking into Unity 4.0 and running some test builds on the 4.0 Beta ThreeGates is proud to announce that we will be able to provide a Linux version Legends of Aethereus. In our opinion the Linux Community has been somewhat forgotten by game developers despite its growing popularity. We also believe that Linux users will enjoy the game play style in Legends of Aethereus. Since our aim is to make a product for core gamers we felt it is very important to cater to the Linux Community since such a high percent have the same philosophy as ThreeGates. Nothing could make us happier than to provide a great game for the Linux Community. We will support both 32bit and 64bit systems, Ubuntu 10.04 LTS (Lucid Lynx) and higher. Everything seems to indicate the game will run great on Linux and we can’t wait to get it out there so the Linux Community can enjoy the game. The game is currently sitting on $15k with 9 days left to reach the target of $25k. You can confirm a copy of game for yourself for just $15 from here.